We're Moving! 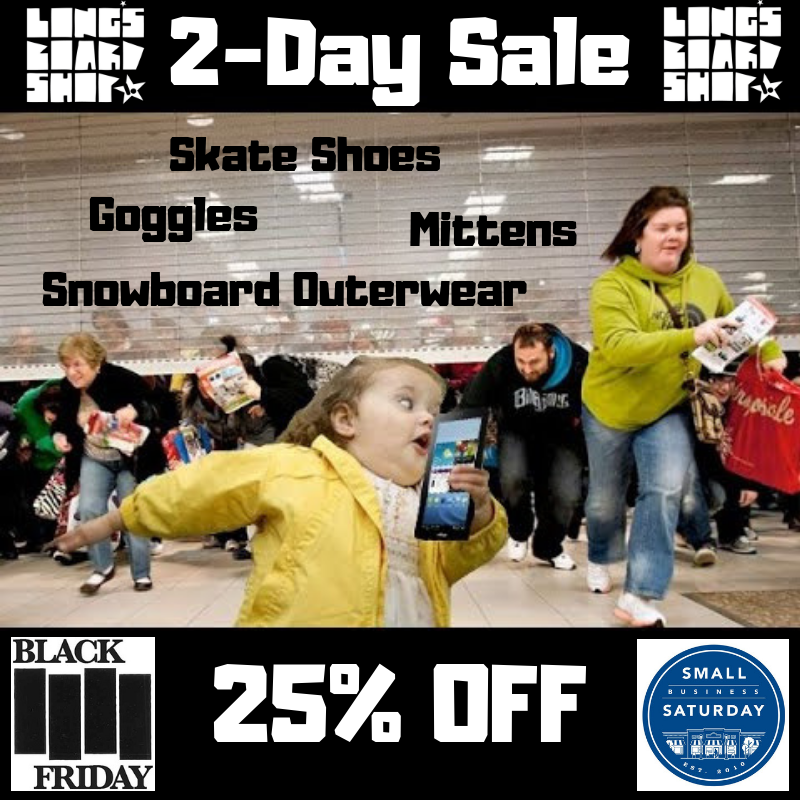 Best Snow & Skate Deals of the year start February 1st! We are moving to a bigger space, under a mile from our current location, and we get to open our doors just before we get ready to celebrate 5 years this spring. Help us move by coming on by these next three weeks and grabbing some great deals - the more you grab at an amazing price, the less we have to move! We will be closing at our current location at 7PM February 21st and will be opening at our new location Thursday March 9th. You can bet our 5 year anniversary event will be one for the books this year! Stay tuned for some big announcements coming after the holidays! Happy Holidaze! From now 'til the 23rd, spend $25 and enter for one of two gift cards for $100! We'll draw name on 12/23/16 so you can pick it up in time for Christmas Morn. Here's what our Holidaze Hours look like - plan accordingly to make sure you get what you need for the season.